Coming as transparent vinyl in a screenprinted limited edition of 200 pieces. This release contains 7 tracks by grmmsk from helsinki / finland. stretched in time haunted voices from the caribbian diaspora tumbling through misty and wet streets of baltic shores. drones of wire spring reverbs meet halftimed doom dub. beside unreleased tracks there are some versions of tracks released before on grmmsk own imprint totes format on cassette. 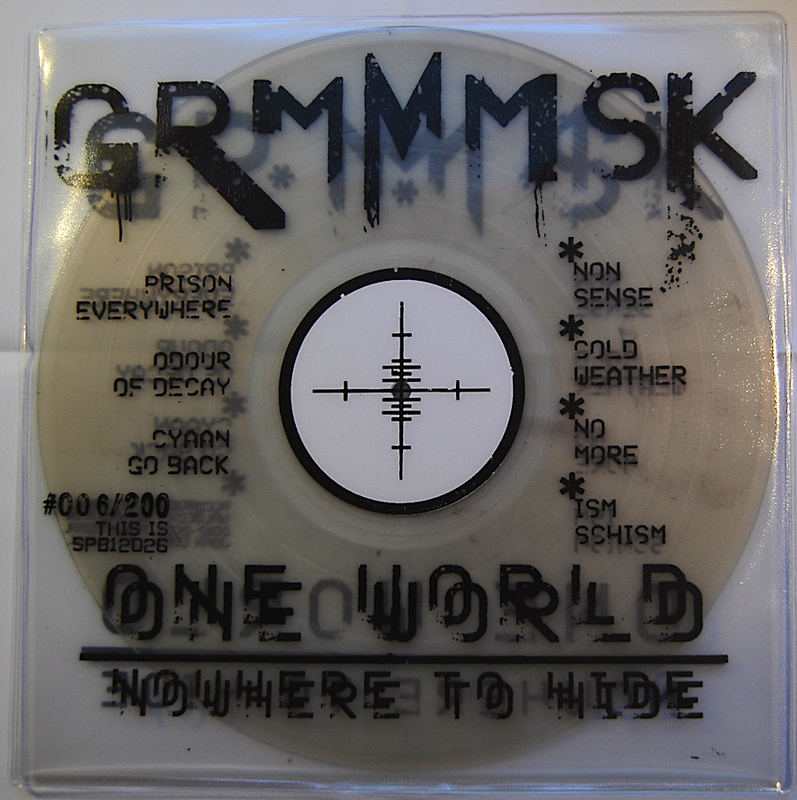 Pressed on transparent vinyl in a hand printed translucent cover, it conceptualizes the album’s title “ONE WORLD – nowhere to hide”. When the idea of UNITY has failed with the result of a world that is increasingly ruled by a hegemony of fear and control, escape into something J.G. Ballard has been calling INNER SPACE, seems imminent. But what happens there? Here’s what: DOOMDUB! Dystopian versions of a sound, that has been associated with glaring sunshine of the caribbean before, is now dragged through the dirty snow flanking the ring-highway circling hellsinki.